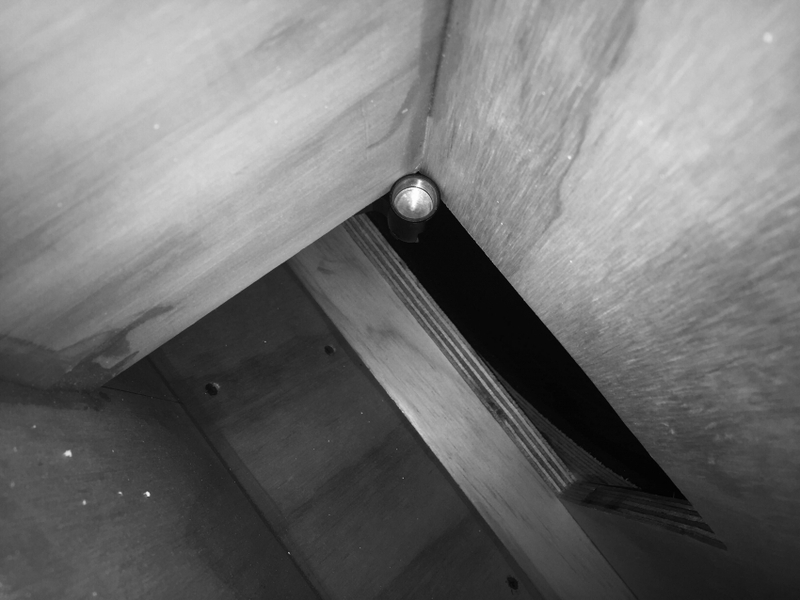 This acousmatic sound performance was formulated as a response to Anton Ginzburg's installation HYBRID GAZE and consequently the performer was absent. Solely the playback machine - an apparatus of reproduction - was performing. 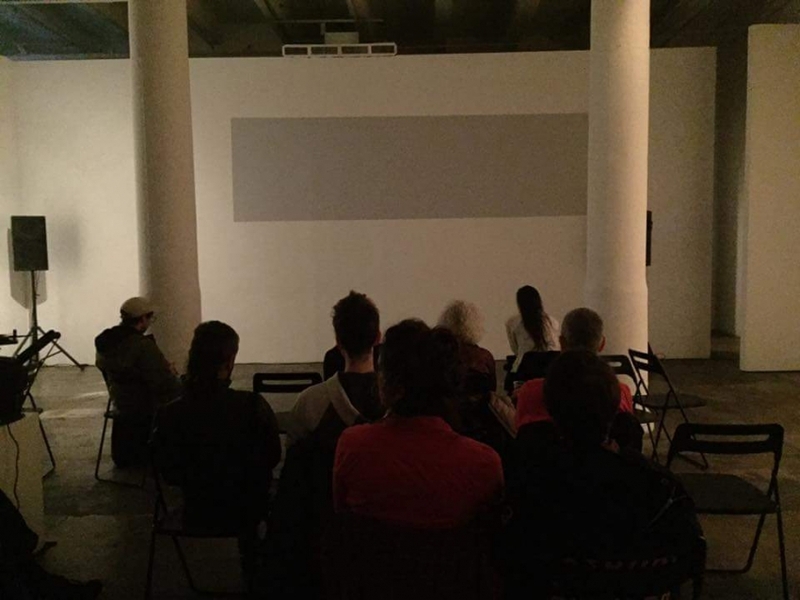 The performance took place on Dec 14 2015 at Fridman Gallery. 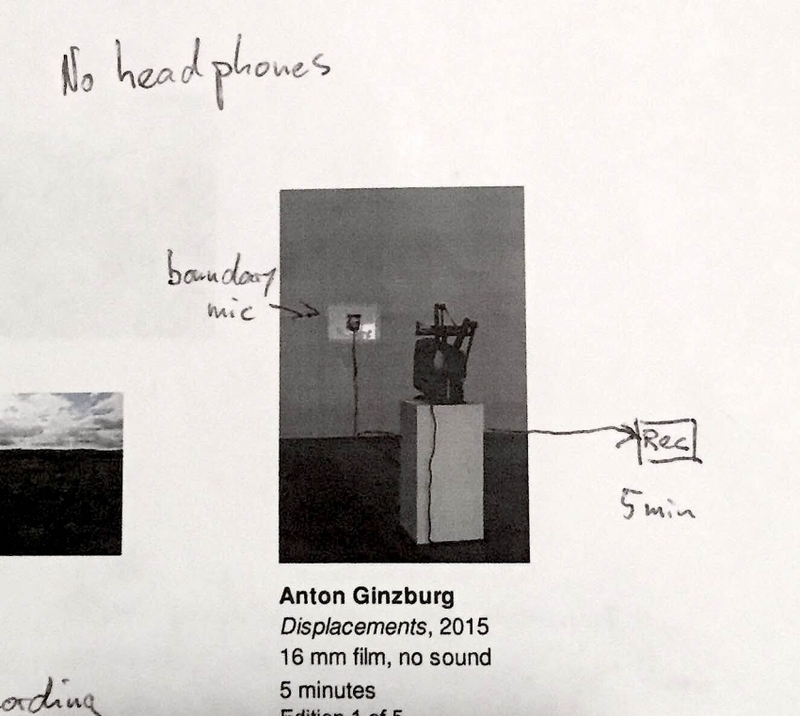 In the same way Ginzburg is and isn't gazing at nature, Neumann is and isn't listening to the exhibition - collecting and directing material through various technological processes (recordings 01-05) for the apparatus to be performing itself. Two-channel recording of End of Perspective. Microphones were placed inside the two subwoofers that play back the audio of the piece. Boundary mic recording of Displacements. Picking up the sound of the projector from the surface of the projection. 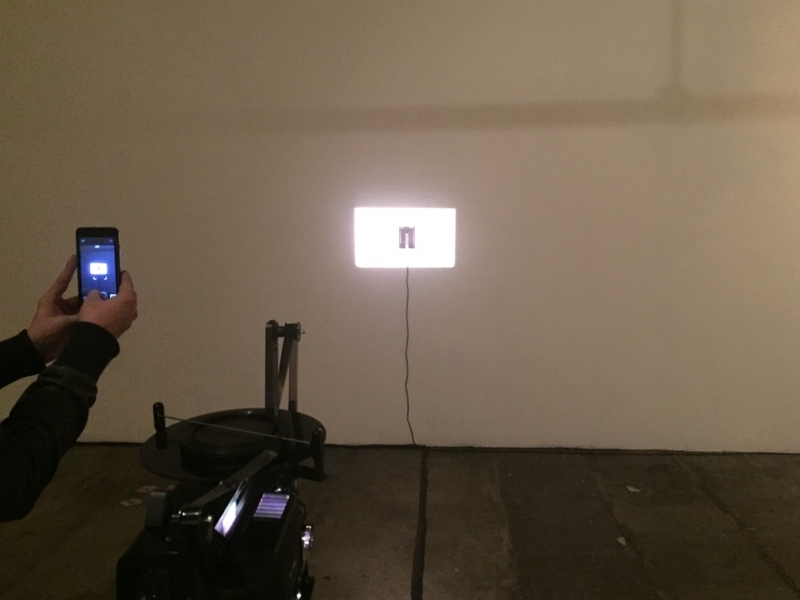 The three performances by Daniel Perlin, Michael Pisaro and Gust Burns, that were part of the exhibition program, were recorded in absence. For the montage, the installation recordings (01, 02) were used as straight audio material, whereas the three performance recordings (03-05) were converted into various midi-data-streams that then "played" a 4-voice synthesizer. The montage was done by overlaying all of the materials onto a timeline and then subtracting - at that point Neumann inserted himself back into his piece as a human filter.